Typical sidelights are the small, white, relatively dim lights located on the front nearside and offside corners of the car. However, modern cars often have their sidelights integrated into the main headlight unit. When a car’s sidelights are turned on, other than the lights at the front, nearside and offside rear tail lights and number plate lights are illuminated. For safety purposes to increase visibility to other motorists, cyclists and pedestrians, some vehicles sidelights turn on automatically when the engine has started. Others vehicles require manual operation of a switch to become illuminated. A cars sidelights aren’t particularly bright (5w compared to 55w dipped headlights) and to many they may appear rather pointless. There are however a few benefits (albeit minor) to having them and of course those legal requirements. Headlight bulbs blow from time to time leaving you with just the one dipped headlight. 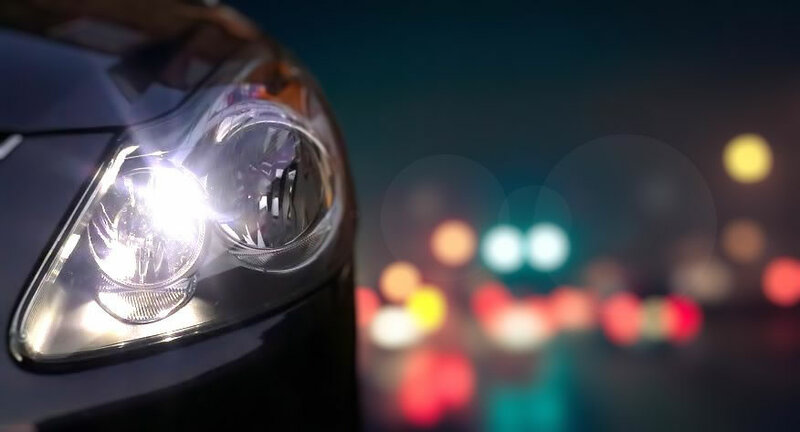 If during the hours of darkness, the illuminated sidelight located on the same side as the defective headlight provides a little extra visibility. Whilst no visibility benefits are gained by the driver due to the sidelight being too dim, the illuminated sidelight benefits other motorists, cyclists and pedestrians. Vehicles with a headlight out can easily be mistaken for a motorcycle, especially in areas with no street lighting. The more electricity consumed by your vehicle, the more fuel consumed. If you feel that driving conditions require extra visibility, but not to the extent of using headlights, sidelights require less power and therefore consume less fuel to operate than headlights. The amount of fuel saved is minimal, but when considered over a long period of time, the savings all add up. Sidelights are also beneficial for certain circumstances whilst parking. If for instance you need to temporarily park at a location that you feel would be a little safer by keeping your vehicles lights illuminated, usage of sidelights will consume far less battery power consumption than the headlights. There is of course the option of hazard lights, although hazard lights can in certain situations create more of a potential hazard to other road users. It is a legal requirement for motorists to ensure that their sidelights to also include the rear registration number plate are illuminated between sunset and sunrise. Sidelights must also be used during the hours of daylight when visibility is reduced. The law also states that drivers must park their vehicle at night facing the direction of the traffic flow unless in a recognised parking space and to use sidelights or parking lights if parked on a road with a speed limit greater than 30 mph.